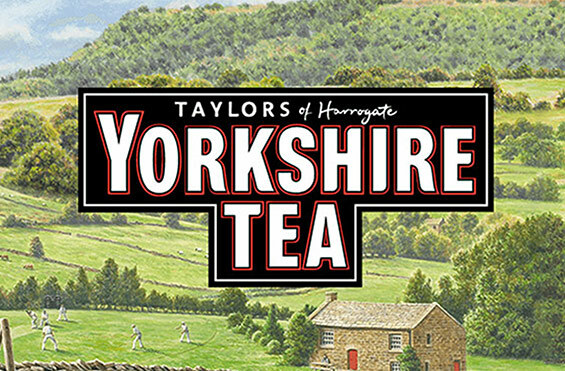 With a 130-year record of brewing best-selling tea blends, Yorkshire Tea is famous for its full-flavoured ‘proper cuppa’. Why Choose The Yorkshire Tea To Go? 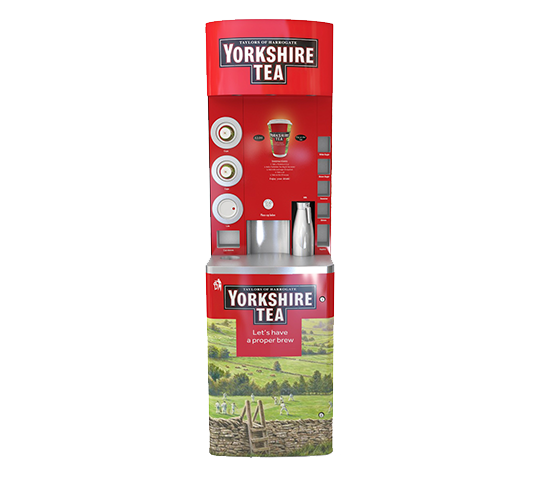 Get in touch to learn more about the Yorkshire Tea To Go machine. 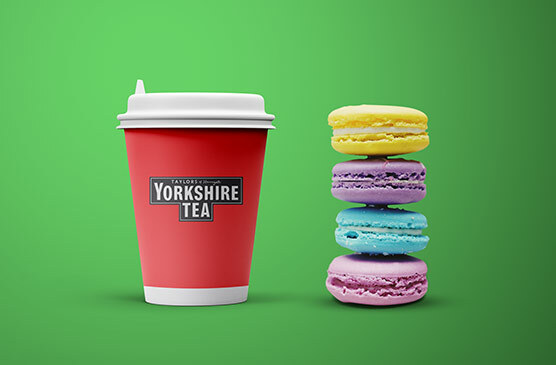 The Yorkshire Tea To Go machine serves Yorkshire’s famously comforting tea blend using fresh leaf tea for a ‘proper brew’ in every cup. 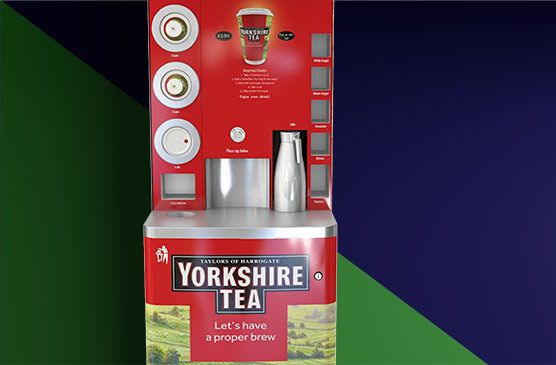 The Yorkshire Tea To Go machine has a simple, user-friendly one-touch rinse system for easy everyday care and maintenance. 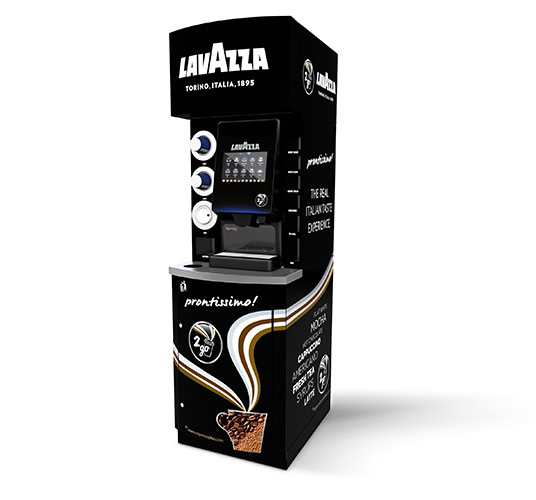 The Yorkshire Tea To Go tower is the perfect addition to an existing food2go area so you can serve fresh leaf tea and boost other to-go offers. 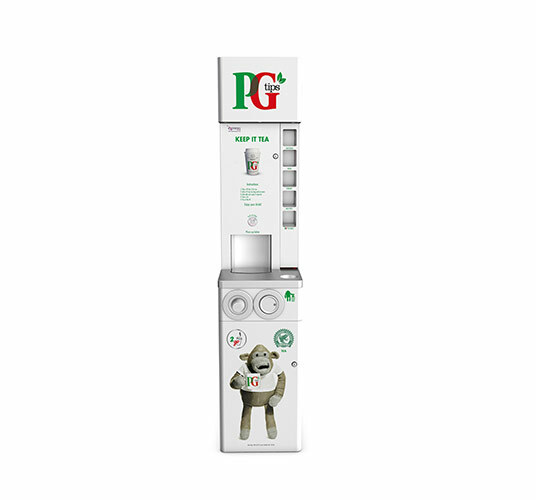 Hover over the machine to see the Yorkshire Tea machine’s key features. Let’s talk about a tea to go package that works for you and your customers.